“They were terrific and they did a great job. 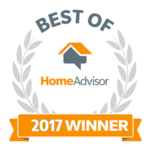 I would highly recommend them to anyone!” – Mandy E.
Homeowners call on Atlantic Cleaning for excellent service, extremely competitive pricing, and guaranteed satisfaction. New Jersey residential window cleaning is done with the customer in mind. We offer free quotes and we are courteous of your scheduling constraints. Our experienced technicians are respectful of your privacy and we make every effort for as little interruption as possible. We are extremely committed to customer satisfaction as well as safety and the environment. Atlantic Cleaning does residential window cleaning in New Jersey like no other! We use pure water technology so that water fed poles can be used to reach windows up to 50 feet high without a ladder. Our crew can safely work from the ground and access windows with ease. Atlantic Cleaning uses the latest technology for environmentally friendly window cleaning without the use of chemicals for spot-free results. No detergent residue means that windows stay clean longer and frames can be cleaned as well as the glass. In addition to interior and exterior residential window cleaning, Atlantic Cleaning offers power washing services for siding, decks, driveways, and other surfaces. A residential window cleaning with pressure washed exterior siding and walks can make a home look like new. Call for a free quote and schedule your residential window cleaning and pressure washing. Atlantic Cleaning for a clear difference!